The following site contains a collection of messages. These messages have been received since October, 1988, by a prayer group in Pana, Illinois, which is dedicated to Our Lady. The messages are being received by 'inner locution' through a woman who is a member of this prayer group. The prayer group firmly believes in the authenticity of the messages, and that they are being directly related to us by Our Most Blessed Mother. The prayer group in no way wants to impose their beliefs on anyone. They only hope this site will be an inspiration to the viewer on his faith journey. 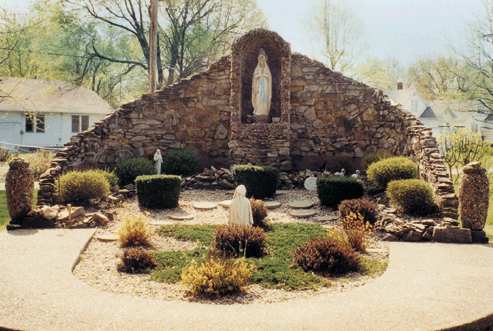 The prayer group meets every Wednesday at 7:00 p.m. and every Sunday at 3:00 p.m., at the Grotto behind the hospital in Pana, Illinois. Everyone is most welcome. Praise Be God Now and Forever. Praise Be Our Eucharistic King. Praise and Adoration be His Now and Forever. Amen.